Anyone can throw a party – food, drinks, people, and music, right? But sometimes you want more than just your average friendly get-together. Maybe you’re looking for something less like a party from The Brady Bunch and more like a party from The Great Gatsby. And you, of course, are Gatsby himself. It’s your job to set everything up from the food to the custom balloons, but where do you start? Ask yourself: what makes an awesome party? How do you transform a fun event to one of the most epic parties of the year? Well at Specialty Balloon Printers, we’ve had a say in some of the best parties many people have ever seen, so we’d like to call ourselves experts on the matter. First thing’s first: your party’s identity. Think of what kind of party you’re looking for, and the kind of people who are going to be there, because different people like different things. Are you throwing a party for your academic, scholarly friends, or something for your Dungeons and Dragons clanmates? Maybe you want a wild uni party, or something more adult, yet themed and fun? 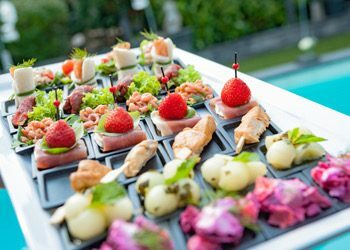 Pick the kind of party you want to throw, and from there you can start making all the other choices: decorations, food, music, venue, guests, activities, and entertainment. If you truly want your guests to remember your party, you need to go all the way with your identity. Take your theme and roll with it, highlighting it in every aspect of your preparations, from the table napkins to the type of food. It’s time to set up your guest list, because as we said earlier: different people like different things. You don’t want to invite stuffy people to a wild party, and you don’t want to invite a loud drunk to a calm get-together. But don’t be too restrictive on your list, or you might end up not inviting enough people at all. Other people can like different things, but you need to make sure that everyone will have someone they’ll be comfortable with. And remember: make sure your guests know what you’re preparing. There’s nothing worse than showing up at a party expecting one thing and seeing something completely else. You want your guests to be excited for your party long before it even starts. Venue is so important in helping a party organically come to life. Whether you’re doing it in your home or renting out a hotel convention room, you need to think about the layout of the party venue and try to predict how everything will play out. Think about it like this: you want to give your guests the ability to roam around, and each room or area should feel different from the others. This will make the party last longer than it would otherwise, because all you have to do is walk into another area and feel that another party has just begun. If there’s one thing you can’t hold back on, it’s the food. Even if food isn’t a major part of your party, everyone will love your party if the food is to die for. Sure, you can end up ordering a cheap pizza and set out some chips, but if you end up actually serving food that no one was expecting (and food that tastes amazing), that’s an instant “wow” in everyone’s book. 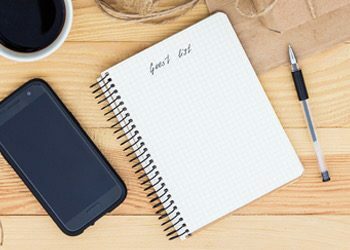 It can be tempting to create a schedule and layout planned events and activities to make sure that everyone has fun for the entire duration of the party. But the truth is, overplanning a party’s itinerary is the quickest way to turn an awesome party into something that feels more like a classroom activity. That’s why we always recommend: build a playground, not a rollercoaster. 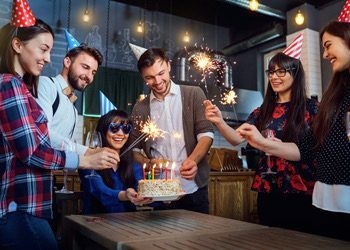 A rollercoaster party is one where everyone is moved from one activity to another on a set schedule, regardless of the vibe or atmosphere of the party. A playground is one where you set out all the activities and events around the venue, and let your guests start them up themselves. For example, if you want to play some beer pong, then set up a table and wait for it to happen; don’t schedule it at 8:00pm sharp. And finally, the best parties that we remember are the parties that we feel we were a part of just as much as everyone else. 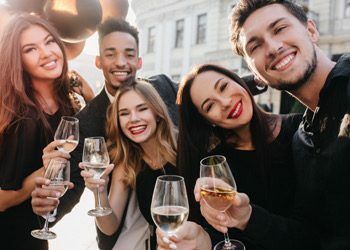 If your party is all about you, and you end up dominating the party with your speeches, your toasts, your music, your choices, your guests might feel overwhelmed with, well, “you”. There’s no harm in making a toast, but other than that, let your party live, grow, and breathe on its own. A great party is a result of preparations and people coming together organically, so let it happen on its own. Ready To Plan Your Epic Party? Order Your Custom Balloons Today! 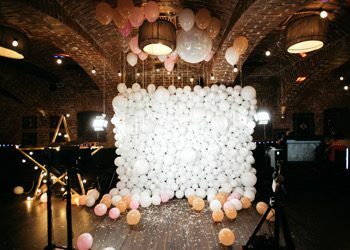 What better way to truly stamp your party theme than with custom balloons, professionally made and awesomely designed? At Specialty Balloon Printers, we’ve created countless custom balloons for countless parties, and guarantee the best customer experience with convenient online shopping, fast delivery, free shipping for orders over $50, and our price match guarantee. There’s no place in town better than us when it comes to party and custom balloons – so check out our balloons today! Need something out of the ordinary and unique? Hit us up and we’ll get on it!